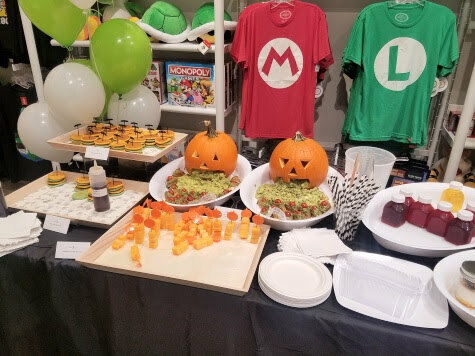 To celebrate the release of Super Mario Party on Nintendo Switch and the reimagined classic Luigi’s Mansion on the Nintendo 3DS, we visited the Nintendo NY store for a day filled with Halloween- and Nintendo- themed activities. Note: I was invited as media to this event and received a video game for review purposes. However, any personal views expressed are always 100% my own. 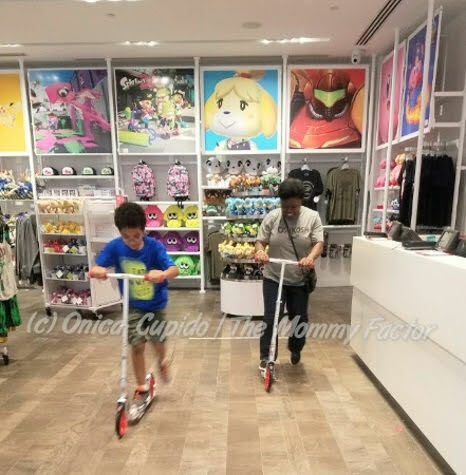 The first activity we did, after snacking of course, was to go on a ghost hunt around the store. 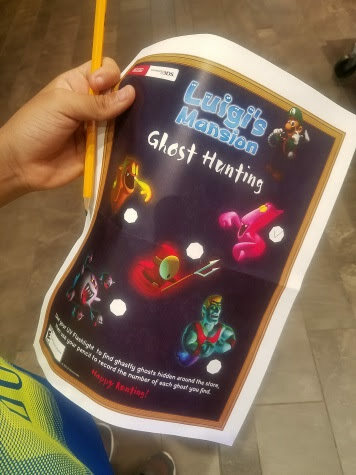 Armed with a black light and ghost map, my son quickly found most of the ghosts, no matter what corner they tired to hide in. HA. 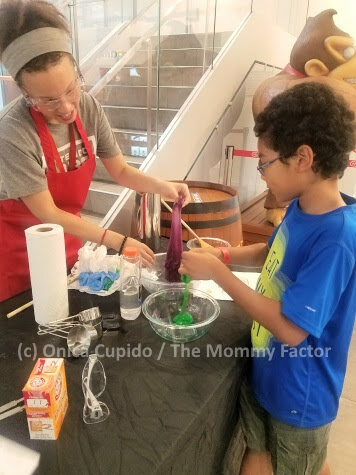 After ghost hunting we learned how to make different types of slime using regular house hold products. I honestly don't understand the appeal of slime, but my son enjoyed mushing his hands in it. After we cleaned up, we headed upstairs to enjoy some Super Mario Party fun. 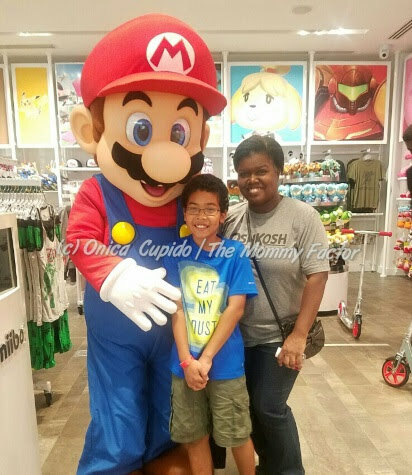 We took turns playing real life games with a Super Mario twist. As usual there was some competition between me and my son. And as usual he won the games. But at least I put up a good fight, just in case I had a chance. Ha! 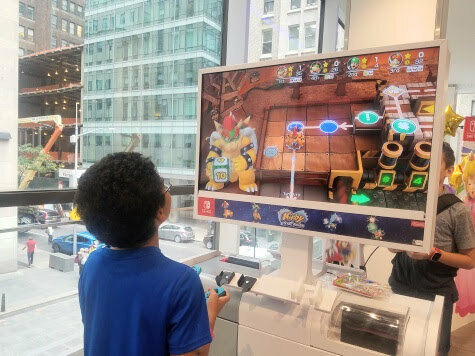 After all that fun, it was time we learned more about the latest games. So we spent the rest of our time gaming it up. Here's more info about the games. Super Mario Party is the newest game in the Mario Party series – and the first on Nintendo Switch. In the game, the four-player board game mode is back with new features like character-specific Dice Blocks that add strategy to each roll. 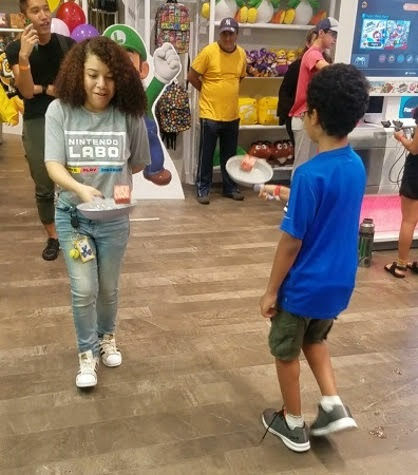 Players can compete in dozens of minigames that use the Joy-Con controllers in fun ways, as well as new ways to play like the cooperative River Survival mode. 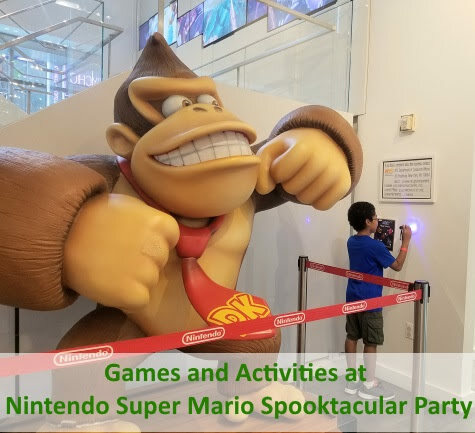 For the first time in series history, party-goers can play sets of minigames online with other players (Nintendo Switch Online membership is required and sold separately). 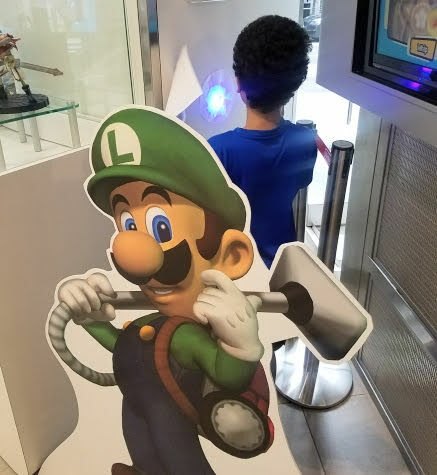 In Luigi’s Mansion game (SRP:$39.99), a Nintendo 3DS remake of the spooky Nintendo GameCube game, Luigi must enter a sprawling mansion equipped with nothing but his trusty flashlight and Poltergust 3000, a vacuum-like contraption used to capture ghosts, find treasure and solve puzzles. This is the first time the Nintendo GameCube classic can be played on the go. This updated version of the game includes the same classic adventure, but with some added features.